Around last week sometime a little package arrived at my door containing these fiveCatrice products, initially the plan was to do a giveaway on the blog but with all the giveaways lately I decided to do reviews and keep them for myself instead (yeah me)! I could barley wait to try the products and went a head that very night, after looking up a very basic way of contouring I decided to do my face and recruiting the help of a few other makeup essentials. I started off with a fresh clean face, put some MAC radiance Prep and Prime on and ended off the base of my face with Lancome Teint Idole Ultra 24h foundation in colour no.6. I used the light reflecting concealer pen mixing it with some of my foundation to make a lighter colour. When we look at the pen itself, the concealer took quite some time to reveal itself to me and after some much twisting and turning it came out in a gush. The product works quite well but dries extremely quickly on the skin so make sure you don’t waste too much time with it, if you’re planning on using it the way I did you shouldn’t have a problem. The pen doesn’t hold much product at all and I find that it tends to waste with the huge amounts that come out with one twist. Buy the Light Reflecting Highlighter pen here. Once you’re done highlighting the face take your foundation brush and blend the highlighter parts into the rest of your face, this gets rid of all the lines. Once you have completed this take your powder brush and use the prime and fine translucent loose powder. Dabbing the brush in the powder just use it to cover the entire face, I’ve used this powder now on a regular basis and I’ve come to love it. It hold the makeup for much longer and clears up any residue that might have been left on my face, giving it a fresh and clear look. I think Catrice might be discontinuing this product, I for one am sad to see it go so stock up before it’s gone! But the Prime and Fine Translucent loose powder here. Take a brown brush and dab it into some black eye shadow, the eye shadow adds to the natural effect and keeps you away from the streaking lines that you might get from using a brow pencil. Buy the Eyebrow Filler here. 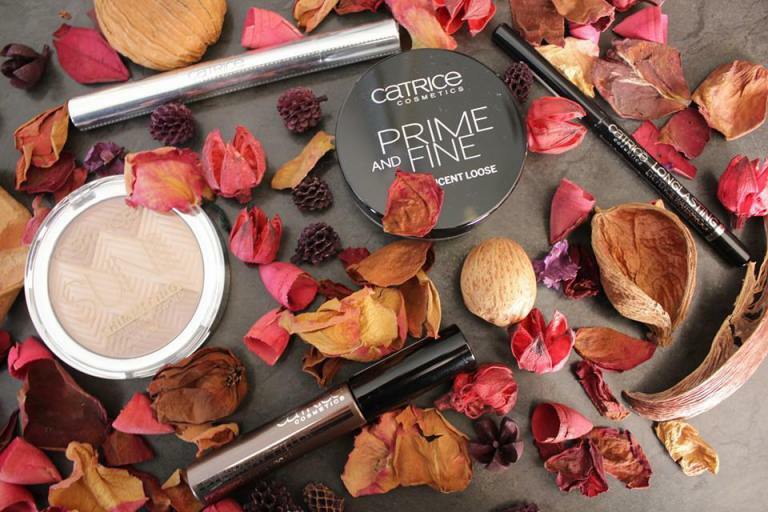 The Catrice bronzing powder definitely gives you that over all glow, I love this product for winter especially when your skin gives off a very bland and dry look, this bronzer takes you right back to summer. I use some of this after applying the Translucent loose powder just to add a tinge of natural glow. I do find that it can be a bit too shimmery if you have a heavy hand when applying makeup, I wish the product was slightly heavy in colour and a bit less shiny but other than that it’s perfect to create that summer glow. Buy the Sun Glow Shimmering Bronzing powder here. Last but definitely not least is the Catirce long lasting waterproof eye pencil, this and mascara (I now have my lashes back) would always be the last things I add after a little blush. I think it’s safe to say that most women in the world struggle to find an affordable and long wear eye pencil, don’t we just hate how they tend to run down onto our face and make the dark circles we already clearly have just look so much worse lol. Well the Catrice eye pencil has not let me down yet, I’ll maybe have a little smudge by the time it hits 3 o’clock in the afternoon when I applied it at 7 o’clock in the morning, this isn’t bad at all people! Another great waterproof pencil I’ve come across is Lancome however you have to be willing to drop a R250 on it. Buy the Catrice Long Lasting Eye Pencil here.